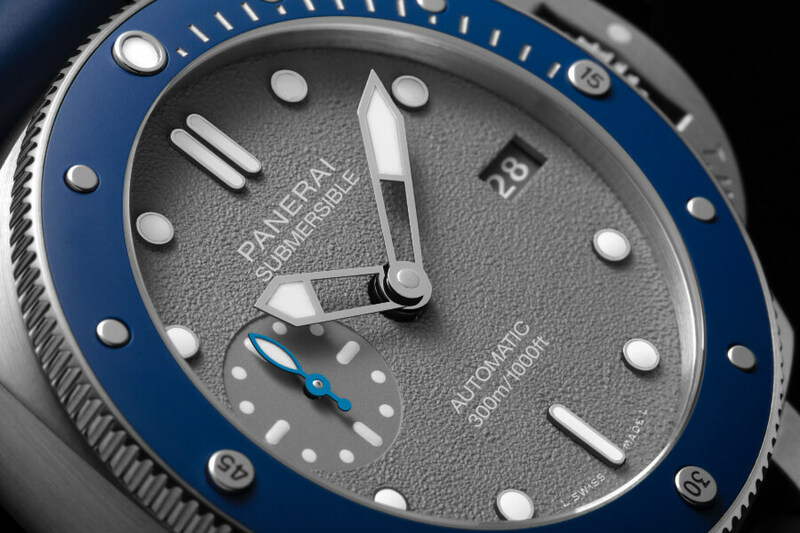 Two new Panerai Submersibles in cases 42 mm diameter – an impressive size, consistent with the Panerai DNA, but suitable for any wrist – express all the power and personality of the professional diving watches made by Panerai, which for many years supplied precision instruments to the commandos of the Italian Navy. Strong, functional, tough and with the immediately recognisable Panerai personality, the two new Panerai Submersibles are fitted with the OP XXXIV Manufacture calibre, an automatic movement with a power reserve of three days, the basic standard of the House’s movements. Both models have an AISI 316L stainless steel case, with the iconic device protecting the winding crown and the unidirectional rotating bezel for displaying the duration of the dive, and they are water-resistant to a depth of 300 metres (30 bar). 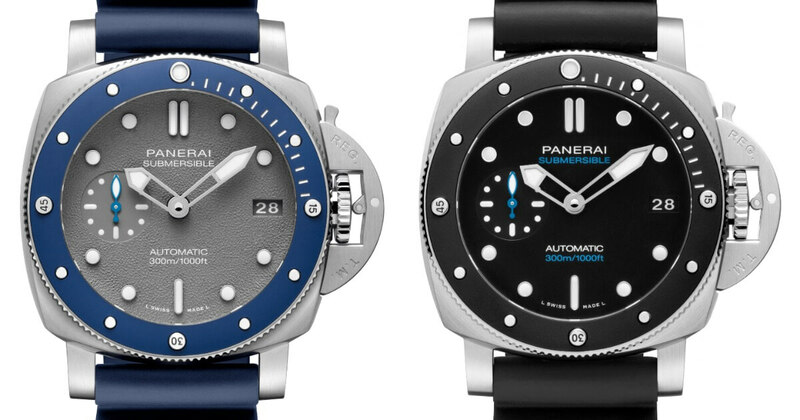 The difference between the two new Panerai Submersibles lies in their colour schemes. In the first (PAM00683) the dial, the ceramic disc on the rotating bezel and the rubber strap are all black, with luminous white markers clearly legible under all lighting conditions and in complete darkness; the second (PAM00959) stylishly combines a blue ceramic disc surrounding the dial and a blue rubber strap with a distinctively textured shark grey dial. In both models the small seconds hand, essential for checking that the watch is running during a dive, is Panerai blue and rotates in the subsidiary dial at 9 o’clock, symmetrical with the date at 3 o’clock. 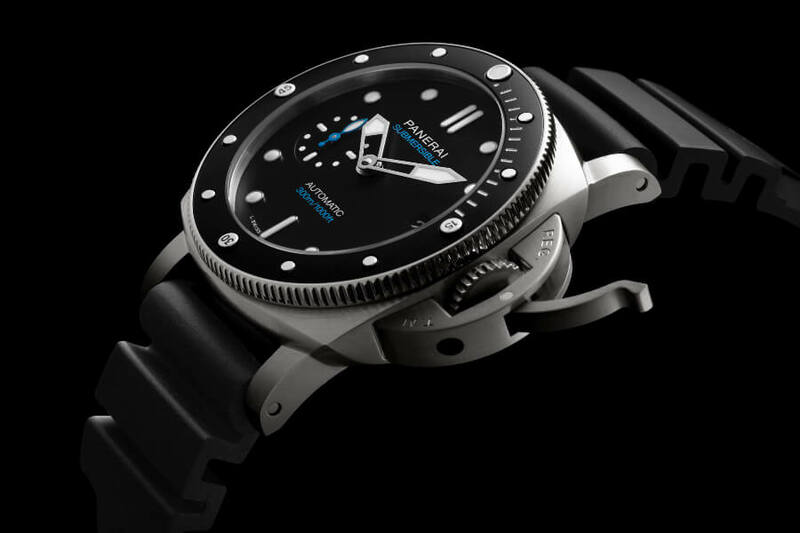 As well as the rubber strap, these Panerai Submersible watches are supplied with a spare strap of high-tech material, tough and water-resistant. Movement: Automatic mechanical, OP XXXIV calibre. 12 1⁄2 lignes, 4.2 mm thick, 23 jewels, 28,800 alternations/hour, Incabloc anti-shock device, one barrel. Case: 42 mm, AISI 316L brushed steel. Unidirectional rotating bezel in steel with applied black or blue ceramic disc. Stainless steel back. Device protecting the crown (protected as a trademark) in brushed steel. Dial: Black or shark grey with luminous hour markers and dots. Date at 3 o’clock, small seconds at 9 o’clock. Strap: black or dark blue caoutchouc strap, trapezoidal brushed steel buckle. 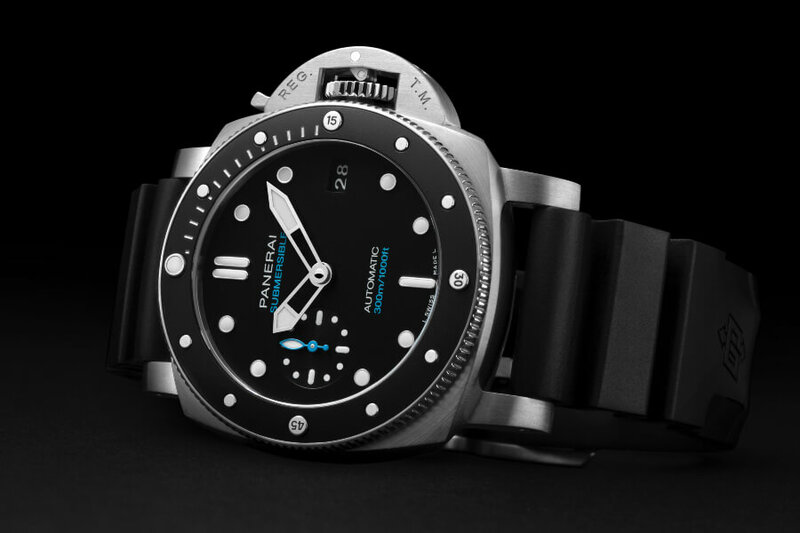 The price for the Panerai Submersible – 42mm is $9,500. 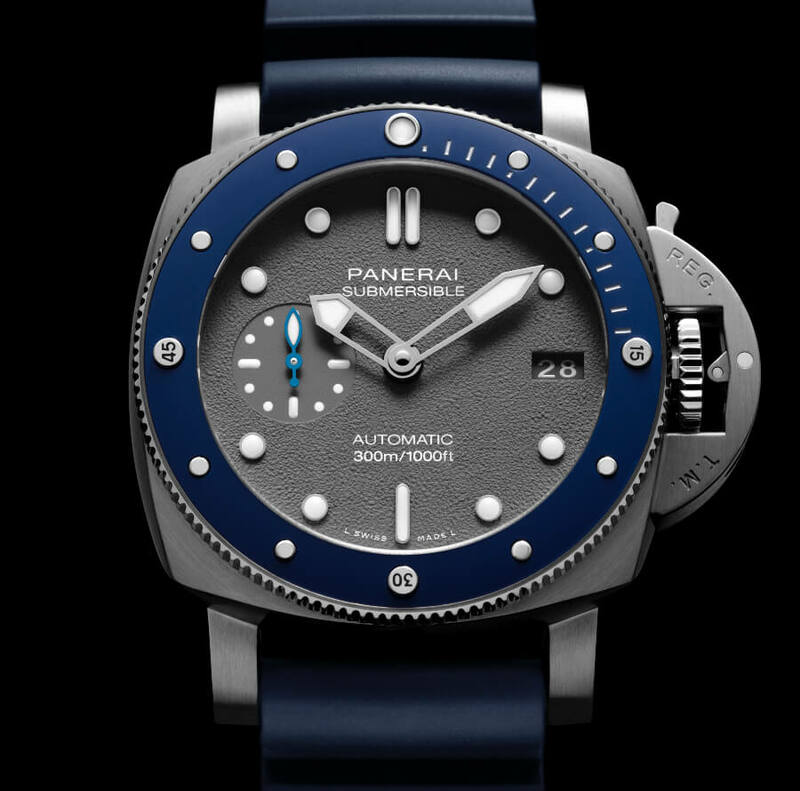 For more information vist Panerai Online.